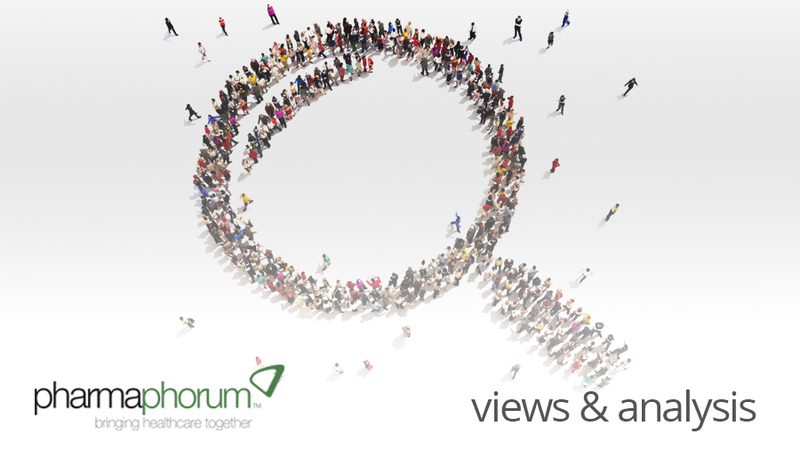 A few weeks ago pharmaphorum held its second social media workshop titled ‘driving growth through effective social media use’ so Paul Tunnah thought it might be useful to share some of the most common questions arising from those seeking digital knowledge. I never set out to teach people about social media and certainly don’t consider myself to be an expert. But the facts are that social media has become an integral part of modern business and, like most things, you learn best by doing it. The truth is I knew very little about social media before launching pharmaphorum, but it’s been a powerful ally in building our brand and I have learned a lot from trial and error along the way. I still do. So this year pharmaphorum held two social media workshops, with small groups, as a way of helping share some of those lessons and to help other companies in the pharma space better connect with their customers through these channels. One common feature with these has been excellent attendee participation, with the sessions often feeling more like a group discussion than a lecture (thank goodness! ), so thanks to those who have attended and made them work so well – they really have been in the best spirit of social media. For those who have not been along, I thought it might be useful to share some of the most common questions / points for debate. Why do I really need to use social media for my business? You don’t have to use social media at all, but at some point your competitors will, even if they are not already, and you don’t want to get left behind. Using social media is a great way to interact with your business community as well as personalising your company. In today’s world building strong business relationships is the key to a success (as it always has been) and as the future is digital why stand around watching from the side-lines when you can be driving things forwards from the front. How do I start? Can I ask anyone in my company to do it? Starting to use social media, whether it’s in the form of LinkedIn, Twitter, Facebook or any other channel, is simple. However, that’s also the danger, so I would suggest taking your time and planning which channel your business would benefit from the most. Think about where your customers are and start by signing up to these channels and watching how others engage. Follow the people who regularly post in your particular business area and are seen as key influencers, read up on their biographies and follow your competitors. Gather all the information and use it to form the basis of a ‘social media strategy’ that best fits your company. Discuss social media with the people you network with, ask around the office and find out who uses what channels and why. Also, don’t forget to look at what works well in other industries – it probably translates across! Can anyone be responsible for the managing my company’s social media? 1. Give it to those involved who enjoy using social media the most. 2. Pass it over to the IT department. 3. Let marketing or sales deal with it alone. 4. Outsource to a PR company. In my experience, all of these have some drawbacks as individual approaches. To ensure a good social media voice and to preserve your company’s reputation, social media planning and implementation requires experience. This is not just experience of using social media but experience of your business – knowing your company’s services, its people and, very often, its history. The office administrator, new undergraduate or IT department may be social media savvy, but will they be experienced enough to properly represent your company to the world? Marketing and sales can sometimes see it as another promotional channel without the desire to truly engage and PR companies may be very savvy with digital communication but can they truly represent the voice of your company in the same way that you can? Plus, what happens if you cannot afford to keep paying for them to manage it? Find your own thought leaders and get them involved! Developing your internal skills and voice across the organisation is therefore critical and there are many companies running courses and workshops helping you to do this (including yours truly, obviously!). What should I / should I not share via social media? You can share whatever you want, including telling the world what you’re having for lunch, that your colleague came into work today with odd socks on or that you’re really hungover this morning from the office party. However, you must accept the consequences! The keyword here is ‘WORLD’, as you potentially ARE telling the world. It may seem all cosy in your office with your hot coffee and morning pastry, but the world is ready and waiting to listen to whatever you type into that keyboard – and the world is very large place. This is why a good social media strategy should be developed that sets boundaries around what should be broadcast. Personality is important in social media, but the phrase that ‘it takes a lifetime to build a reputation but only minutes for it to be destroyed’ has never been more true when it comes to social media. What if I only want to advertise or promote my company? There is no reason why you shouldn’t advertise or promote your company through social media channels, this is a business media after all, but the key is in how you do this. If you are constantly seen to be just pushing your company’s products and services then your followers will soon become bored. Instead, think about it from their perspective – what can you share that is useful and interesting? Social media is all about digital interaction and personalising your business, so if you use it effectively this will be the best form of promotion and people will want to know more about what you do without you having to push sell. There are many other questions that people ask but the ones above seem to be the most common ones, so I hope it’s a good starting point for those interested. They are also the key questions that you need to have answered before you put your social media strategy in motion. Ultimately, my advice is simple – have a plan, get involved, take it one step at a time, develop your own internal expertise / voice and enjoy learning along the way as I still do. Finally, I will take this opportunity to wish all our readers a very relaxing Christmas and New Year. I’ll certainly be getting some good R&amp,R over the next few weeks ahead of what looks to be a very exciting next year for pharmaphorum. Thanks to all for their contributions this year and, until 2013, stay well. What are your top pharma B2B social media tips?